The Trump government recently announced its plans to propose further restrictions on VISAS and green cards, for immigrants who are likely to use public aid benefits, including nutrition programmes, as well as housing and medical aid. According to the policy, proposed by the Department of Homeland Security, immigrants who have received, or are likely to receive, public benefits might be excluded from permanent residence, under a new definition of the “public charge rule”. This immigration rule targets people who depend on state aid for subsistence. It has been a long-standing requirement for US immigration officials to deny residence permit to people likely to depend on public benefits, but authorities had only applied this rule on cases where dependence on state aid was primary and direct. However, under this new definition, the Trump administration would practically expand the scope of restrictions to also apply to a larger number of public assistance programs, even if the applicants are not solely dependent on them. As such, the proposed regulation will require immigration officers to review a number of personal circumstances related to the applicant’s health, family situation, income and history of public benefits use. As a result, US immigrants have reportedly begun to refrain from using public assistance programmes, out of fear that this new rule would interfere with their residence status. Rand, co-founder of Boundless Immigration, a technology company helping people navigate through the US immigration system, said the proposal was filled with small details “designed to ensnare hundreds of thousands if not millions of people who would otherwise have been perfectly eligible for green cards or other visas”. 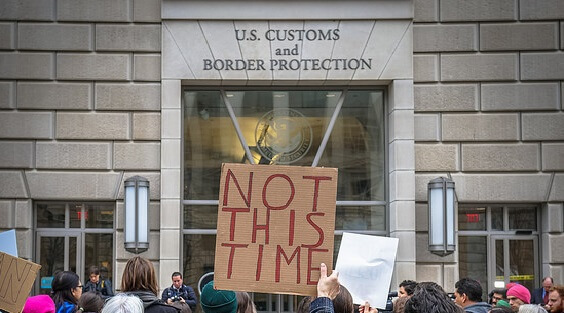 The policy proposal falls under recent policy developments in US immigration moving towards deterrence of unauthorised entry in the United States. Earlier this month, a proposed regulation was announced, introducing the option to indefinitely detain immigrant families, by applying a narrow definition of the 2001 Flores agreement, regarding US standards of family detention. Moreover, a new policy came into effect on Monday, October 1, instructing VISA agencies to refer immigrants for deportation proceedings in more cases than previously possible. Under this new policy, vulnerable groups, such as victims of gender-based violence are at greater risk of deportation, should they fail to correctly report the crimes.